A school in south-east London will auction art made by the likes of Jeremy Corbyn, James Corden and Hugh Grant. The Charter School in Dulwich, hopes to raise £20,000 for its arts department by selling 500 £40 tickets, each corresponding to a “secret artwork”. The school said it needed to raise the funds following government cuts of £1m to school facilities. The “Secret Charter” exhibition will take place at the Dulwich Picture Gallery on Monday 15 October. Actor James Nesbitt will host the event. 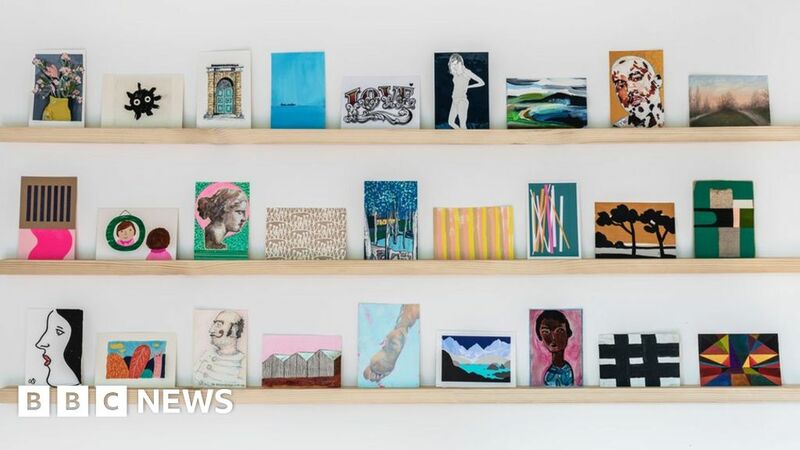 More than 500 postcards featuring different artworks will go into a lucky dip and will be randomly allocated to buyers via a computer program. “Secret Charter” was conceived by pupil parent Laura Stephens, and is designed to support the school’s art department and to help ensure that children “continue to receive an arts education they currently enjoy”, the school said. A refurbishment of the art department’s dark room, along with a new printing press, is top of the school’s wishlist, it added. The school drama and music departments will also benefit from money raised. Ms Stephens said: “It is such an exciting event and I never dreamed it would capture the imagination of so many people. “We’re delighted to have the contributions from such internationally acclaimed artists, designers, illustrators, fashion designers and celebrities. The government does not accept that it is cutting funding to schools.